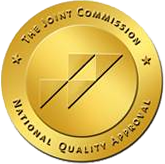 We are a family-owned, JCAHO accredited small business that specializes in home medical supplies and equipment to keep you safe in your home and help you stay in your home longer. Therap-Ease started out of the Kingston basement of Bette and John Iannucci in 1989 as solely an oxygen supply company. Since then, we have moved twice to accommodate our growth and currently reside at 121 Industrial Park road in Plymouth. We are dedicated to you, our customers, and your satisfaction. We have a small, very hardworking, knowledgeable, and kind-hearted team. We take pride in our personalized, educational, and thorough service. When you come in or call, you can always find a familiar voice or face. Despite our size, with only two regular certified delivery technicians, our service is fast, professional, and comprehensive. We truly care about our patients, and if what we can't make up for in price on some products, we more than make up for it with our service. We offer a wide variety of durable medical equipment products and a number of services. As part of any purchase, rental, or service, we provide some education on the use of the product. For purchases through insurances, we will most often bill insurance for you, though there are some insurances we cannot bill or cannot bill for you. (For more information about insurances and all other forms of payment we accept, you can click here.) Some purchases also include delivery. We have several seat lift chairs from Golden Technologies out on our show room floor for you to try. You can learn more about our seat lift chairs here. The services we offer include rentals, repairs, delivery, compression stocking fittings, and home accessibility modifications. The home accessibility modifications we offer include the installation of grab bars, ramps, and stairlifts. You can find out more about our individual services here and more about the individual installations we offer at the links below. We work closely with and take referrals from a number of physician's offices, home care agencies, skilled nursing facilities, physical therapists, occupational therapists, and hospice programs. For many years we have worked very closely with and provided the equipment for Cranberry Hospice. We are also a member of the non-profit organization PNG. We offer a variety of products from number of different manufacturers. We have a large inventory of Drive brand products, from wheelchairs and walkers/rollators to bathroom items. All of our seat lift chairs are made by Golden Technologies. We install grab bars from Moen, stairlifts made by Handicare, and ramps made by Roll-A-Ramp and AlumiRamp. We offer compression stockings from Sigvaris, Truform, Therafirm, and Mediven. We also offer a number of other products from companies like Essential Medical, Complete Medical, Rose Healthcare, and many more.